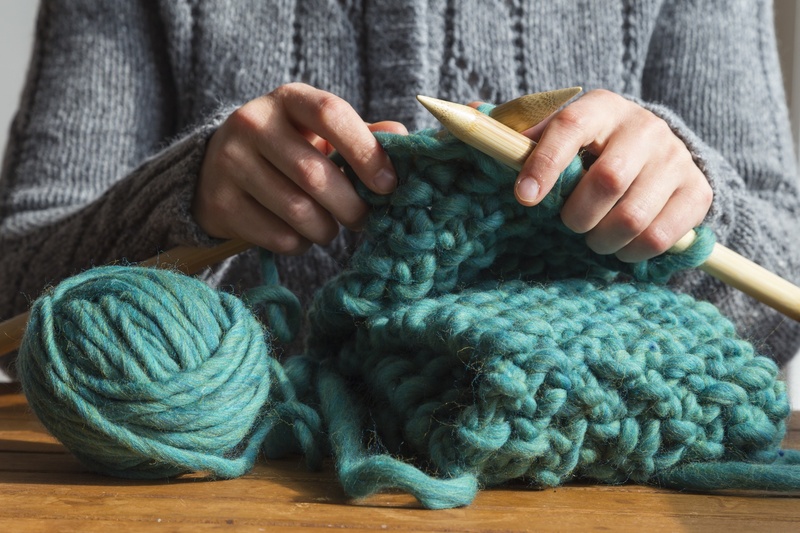 Knitting and crocheting go hand in hand as the most common yarn crafts today, and makers everywhere are choosing these hobbies as a fun way to create apparel, accessories, and home goods within the growing crafting community. However, now's the time to stop picturing your grandmother. She's just one part of a wide-spread network of knitters and crocheters of all ages, backgrounds, and experience levels. Keep reading for all the stats and insights that show how truly unique and diverse this craft segment has grown to be today. Knitting is a craft where two straight needles are used to manipulate yarn or thread to create loops resulting in a textile or functional object (like an article of clothing). Crochet uses a single, hooked needle for drawing a yarn or thread through intertwined loops to create a textile or functional object. While the biggest difference between the crafts are the needles, the similarities between these crafts are many. Both knitting and crochet are ways of creating a fabric in certain shapes, colors, and designs by fastening loops and strands of yarn together in a line or tube. Precise patterns must be followed in order to create the desired garment or object. 28.8 million Americans participated in knitting and/or crochet in 2016. The year, the crafts represented a market of $2.79 billion, with an average monthly spend per household of $20.57. Knitters and crocheters are likely to also participate in other needle arts. 62% give the items they craft as gifts. However, knit and crochet items are the most commonly donated crafts at 18%. 58% also keep their items. While 18% consider themselves experts (one of the highest percentages of any craft) the other 82% rate their skills as beginner or intermediate. 71% of knitters and crocheters are female. 29% are male. Like we mentioned, knit and crochet age ranges are fairly even across the board: 34% are 18+34, 36% are 35-54, and 30% are 55+. 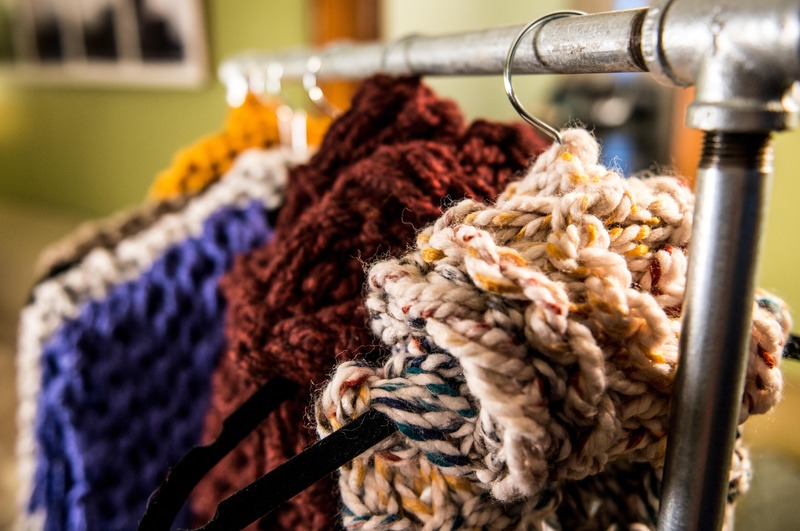 Slouchy apparel: In terms of the items they're producing, loose-fitting cardigans, off the shoulder tops, and "grandpa sweaters" are some of the most popular styles knitters and crocheters are creating. The same slouchy style also goes for hats, bags, and even cozy socks. Large yarn: For beginners especially, working with larger diameter yarn can make the process easier. Larger yarn also tends to be extra plush and cozy, which have made those bulky styles especially trendy for some time now. Yarn kits: Another popular trend is the offering (and purchase) of smaller skeins of yarn packaged in a kit, intended to create a specific project. These convenient packs, aside from being great for beginners, supply knitters and crocheters with exactly the amount of each color and yarn type they need. Smaller skeins in general allow knitters to experiment with more colors without ending up with too much leftover. Texture: From fuzzy to fringy, knitters and crocheters are embracing more texture in their finished projects as well as the yarn itself. Not only can they create bolder styles to show off, but different textures also give the finished product a more luxury feel. Knitting and crochet may perhaps be some of the slowest activities in the crafting community. Without the mess of paint, the pasting of paper, the sparks flying from jewelry smithing, or sawdust pile from a successful woodcrafting project, knitting and crochet might seem almost boring in comparison, but the reality is quite the opposite. Knitters and crocheters today are just as passionate about their work, but they're drawn to the activities because of their quiet, repetitive nature, not despite it. 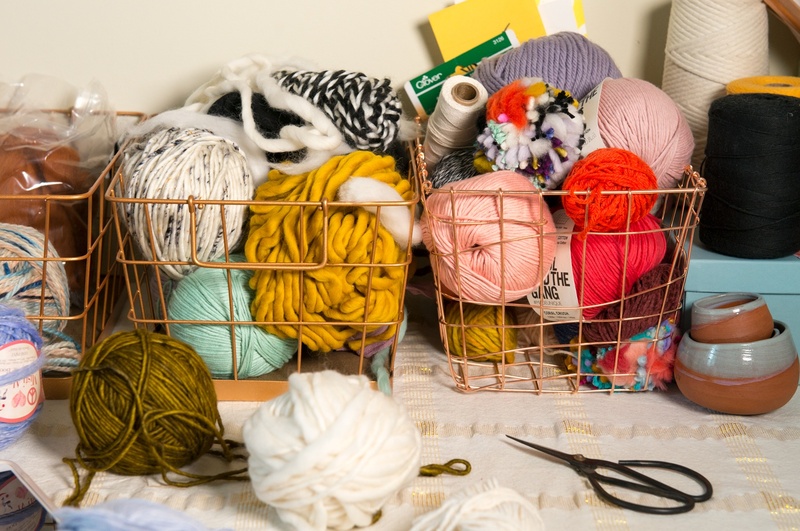 Yarn crafts are popular because they're portable (all you need is your needles, your yarn, and your hands), relatively low-cost to start, and output totally personalized projects that are meant to be worn, used, and enjoyed. The pattern-based nature of the crafts make them a great tool for de-stressing in multiple ways. On one hand, they can inspire focus and reflection, but once the motions become second-nature, yarn crafts also lend themselves well to social interaction with a group, too. Knitting and crochet have a long history as protest art (we've even seen a resurgence of it in the past year), perhaps because of it's traditionally feminine roots, and the ability to talk and discuss ideas with a group while crafting. However, that's not to say knitting has to make a statement (and it's not just for women, either). 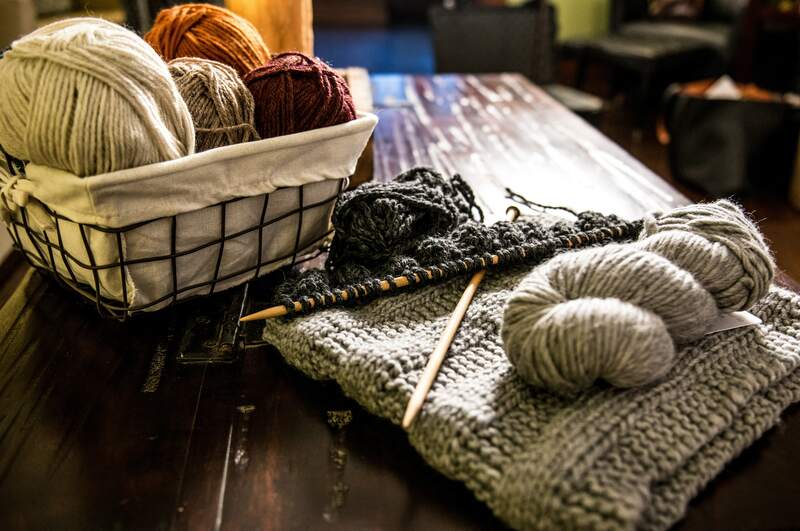 The beauty of the quietness of yarn crafts is that hobbyists are able to create their desired environment around themselves as they settle in to add a few more stitches. 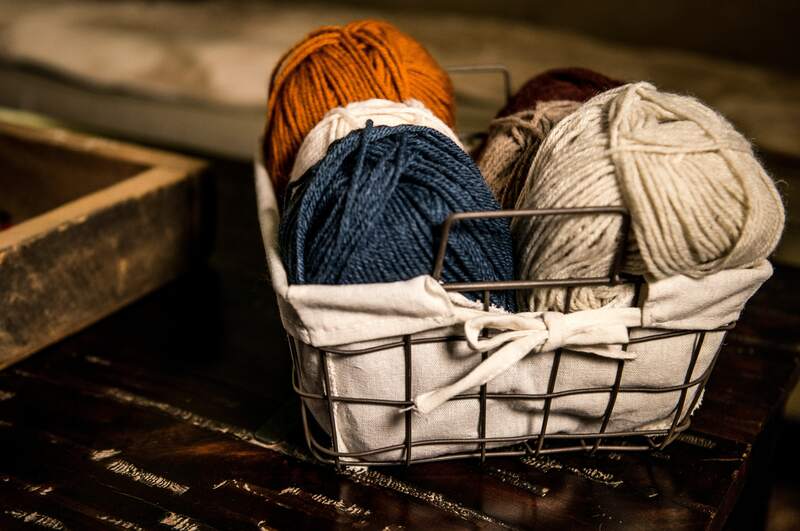 Now that you really understand why knit and crochet are so popular in the craft world, it's time for your brand to become a treasured part of that personalized process.